Many consider the 1970s as the golden era of Saturday morning cartoons. Common practice then was to take hit television series, that proved popular with kids, and turn them into animated series. The Filmation production house was king of this cartoon subgenre. They churned out spin-offs such as The Brady Kids, My Favorite Martians, Gilligan’s Planet and the M*A*S*H spoof M*U*S*H. Filmation had a reputation for exploiting the technique of limited animation to produce a number of animated series with a distinct look. They were well known for re-using the same animated sequences over and over, to the point where the Filmation style was instantly recognizable. That was no different in the Star Trek: The Animated Series. That being said, Filmation was responsible for returning a cult hit to the television screen and in some estimations bringing the catalyst for getting a Star Trek movie green-lit. 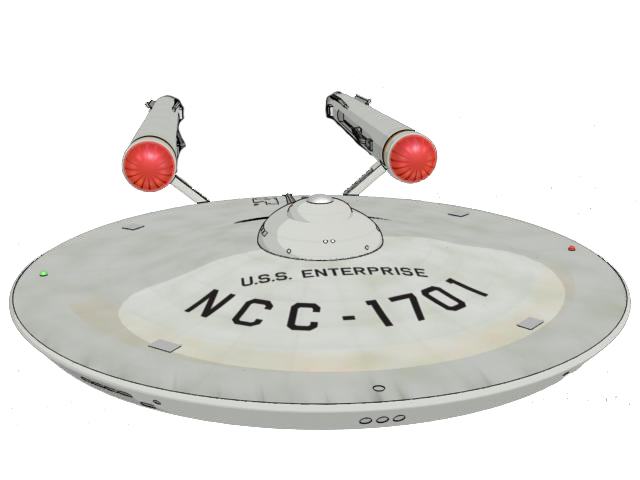 While it may have been an animated series, the continuing adventures of the USS Enterprise had some serious strengths. The original cast was back, well mostly, as was creator Gene Roddenberry. Many of the Original Series writers returned as well, giving the cartoon far more brainpower than the average Saturday morning cartoon. A large number of episodes were sequels to classic adventures from the 1960s series. 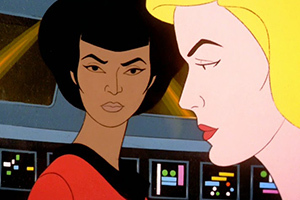 The original concept for the series involved the established Enterprise crew taking on young apprentices, with a focus on the young crew members. Filiation had offered Roddenberry a buyout to give up his creative control of the show, so that the studio could pursue its young apprentice theme, but Roddenberry objected. While an animated series is cheaper than a live-action production, and Filmation was notorious for is ability to cut costs by reusing the same animation cells, there was still a bit of cost cutting that had to occur. Filmation’s budget would not cover all of the original cast, so Chekov was written off the show. They were also hoping to cut Nichelle Nichols and George Takei, suggesting that James Doohan and Majel Barrett provide the voices of Sulu and Uhura, but Leonard Nimoy refused to sign on if the only two nonwhite characters were excluded. In another attempt to cut costs the production had Nichols and Doohan perform voices for multiple characters. Voicing everything from other Enterprise crew members, such as new helmsman Arex, to aliens and rabbits. 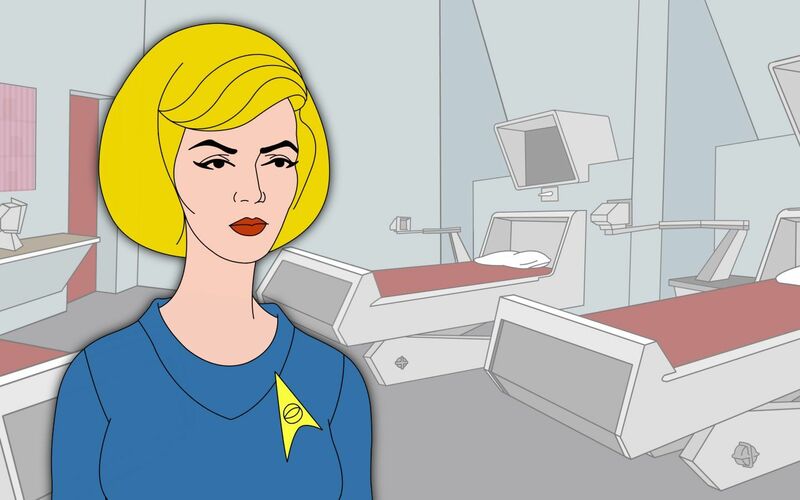 Majel Barrett, best known as Nurse Chapel in the original series and Gene Roddenberry’s wife, also performed a number of additional voices. All wasn’t lost for Koenig though, he became the first Star Trek actor to write for the franchise with his season one episode, “The Infinite Vulcan.” Rumor has it that Koenig had to work for it as Roddenberry reportedly made him work through 10 drafts of the script. 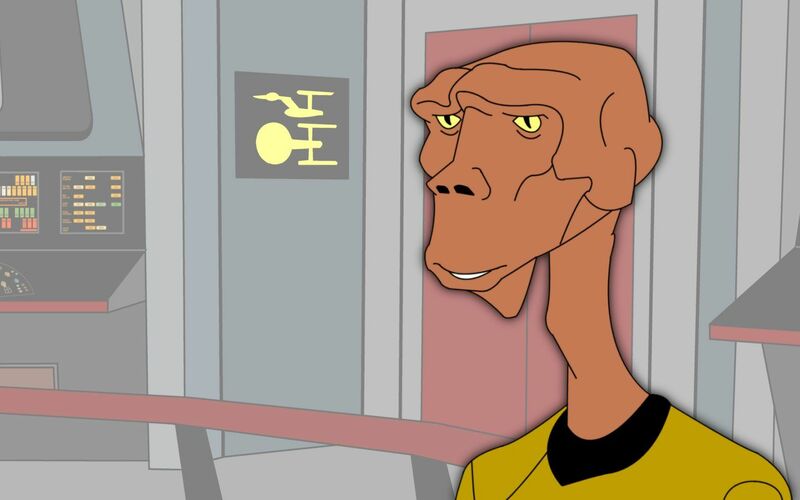 Star Trek as an Animated Series? One of the benefits of using animation for a Star Trek series is that it allows for strange and inhuman aliens, large monsters, and multiple starship battles that weren’t possible in live-action series. 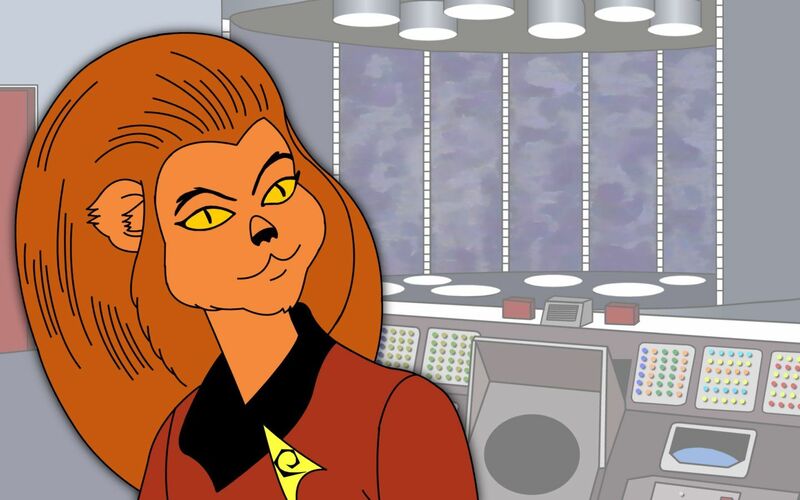 The crew of the Enterprise became more diverse as well with new, alien crew members, including a lioness-like humanoid, Lieutenant M’Ress and a three armed orange alien in Lieutenant Arex. Sets and locations weren’t limited to whatever a network can stuff on the Desilu soundstage and spaceships can be truly vast and alien. It opened Star Trek to an entirely new medium and a new manner in which to present itself. Being Filmation though, it wasn’t without its issues. Because Filmation was known as a cost-cutting studio, it was able to keep its operation in the United States rather than outsourcing as other companies did. They were known for reusing the same animation sequences in multiple episodes and after a handful of episodes keen observers were able to tell which scenes were taken from previous episodes. Viewers can easily spot cels being pulled across the screen, scratches on certain sequences and in some cases see alternating features on characters within the same scene. 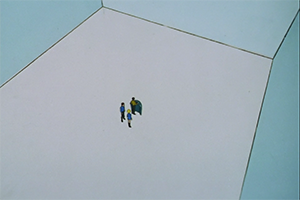 One particular instance sticks out in an early episode where a scene takes place within the transporter room. Scotty is at the helm of the transporter controls and in some shots he has a mustache while in others he’s clean shaven. One has to wonder whether they were using a character from another series. There were times where the voice cast sounded like they were in different rooms. It was well know that recording of voice roles occurred in different cities, depending on where the cast was located. Similar to most animated series of the time, The Animated Series consisted of 22 episodes spread out over two brief seasons, with many re-runs in between. The director of the first season, which was 16 episodes, was Hal Sutherland while Bill Reed handled the directing chores for the 6 episodes of season two. The episodes were novelized by Alan Dean Foster and released in ten volumes under the Star Trek Logs banner. Initially, Foster adapted three episodes per book, but later editions saw the half-hour scripts expanded into full, novel-length stories. Star Trek wound up being the only Filmation show to air for two consecutive seasons on NBC, though the network ultimately decided it wasn’t kid-oriented enough, and passed on an additional year. Thus came to an end the adventures of Captain Kirk and the crew of the Enterprise, until the movies. Is It Part of Star Trek Canon? Yes, and no! It depends on who you asked, but more importantly when you asked. 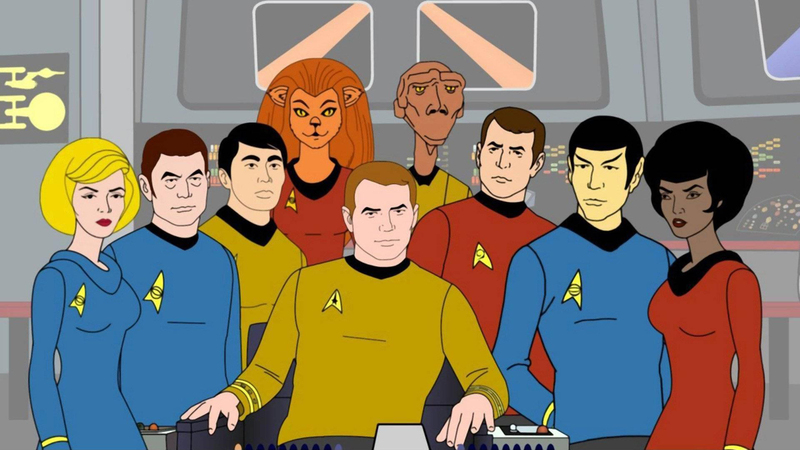 Originally, The Animated Series was taken to be official canon since it was a sequel to Star Trek produced with the original cast, under the control of creator Roddenberry. The writers used a copy of the “series bible”, as revised for TAS. The same “series bible” is held in the science fiction research collection at the Samuel Paley Library, Temple University, Philadelphia. However, the 1999 edition of The Star Trek Encyclopedia states that the series was no longer officially canon. The story goes that At the end of the first season of Star Trek: The Next Generation, all licenses for Star Trek spin-off fiction were renegotiated, and the animated series was essentially “de-canonized” by Richard H. Arnold, a member of Gene Roddenberry’s office. Writers of the novels, comics and role-playing games were prohibited from using concepts from the animated series in their works. 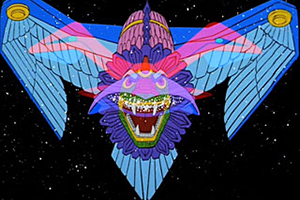 However, references to the cartoon were repeatedly made in other Trek productions and novels, from Deep Space 9 to the rebooted movie franchise. 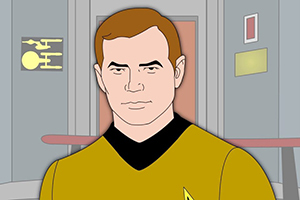 On June 27, 2007, startrek.com added The Animated Series to its official library, making the happenings of the show part of the canon. In November of 2016, Star Trek: The Animated Series became available for the first time as a standalone release in high definition Blu-ray. 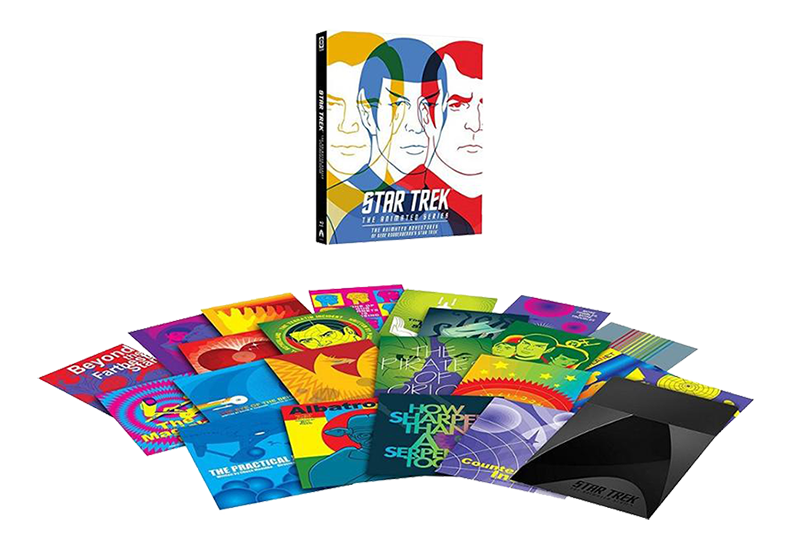 Originally available in HD as part of the Star Trek 50th Anniversary TV and Movie Collection earlier that year, the three-disc set includes the entire 22 episode run of The Animated Series along with audio and text commentaries on select episodes and limited bonus features. Fans will enjoy the standalone release for its unique packaging, in which 22 Juan Ortiz mini prints are also included. Plus, having The Animated Series discs in a separate case from The Original Series, as was the case for the 50th Anniversary Collection, will make for a nice addition on the shelf. The 22 Animated Series episodes are presented in their original 4:3 aspect ratio in 1080p high definition with Dolby and DTS surround sound. Subtitles include English, French, German, Italian and Dutch with French, German, and Italian alternate audio tracks. The bonus features included in the set are the same as those found on the 2006 DVD release and in the 50th Anniversary box set. They include features like “Drawn to the Final Frontier,” giving fans insight into the making of the series and “What’s the Star Trek Connection?,” which looks at the continuity of TAS in the 1970s from TOS, a storyboard gallery and the aforementioned audio and text commentaries. Fans first heard the name James T. Kirk in The Original Series, but nobody knew what the T. stood for until The Animated Series episode “Bem”. Writer David Gerrold, having cited influence from by I, Claudius, turned the “T” into Tiberius. Interestingly enough, in Gene Roddenberry’s first series, The Lieutenant, the principal character was William Tiberius Rice. 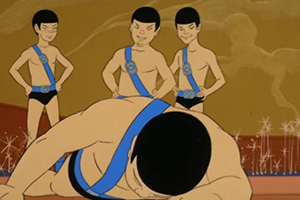 J.J. Abrams’ 2009 Star Trek reboot depicts some of Spock’s upbringing, including a scene where the half-human is bullied by other Vulcans, which was directly lifted from “Yesteryear,” one of the standout episodes of The Animated Series. 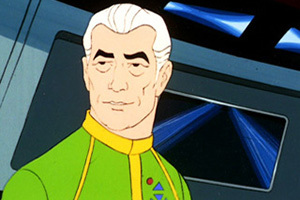 Actor Mark Lenard reprised his role of Spock’s father, Sarek for The Animated Series. In “The Lorelei Signal,” written by Margaret Armen, who also penned three original Star Trek scripts, Uhura takes command of the ship. Interesting, the only other times a woman takes command came in the first (“The Cage”) and final (“Turnabout Intruder”) episodes produced in the Original Series. Part of the canon debate centered around timeline tidbits like this, the fact that The Animated Series established an Enterprise captain prior to Christopher Pike. Should his captaincy be part of the continuity? When Roddenberry first submitted a Star Trek script to MGM Studios in 1964, the captain’s original name was Robert M. April. A “Robert April” character also shows up in two episodes of Have Gun – Will Travel written by Roddenberry. Interestingly, the Star Trek Encyclopedia uses a photograph of Roddenberry himself to depict Enterprise captain Robert April. Created for Larry Niven’s Known Space series, the Kzinti appeared, along with allusions to slavers and stasis boxes, in “The Slaver Weapon”, an episode of Star Trek: The Animated Series that was also written by Niven. 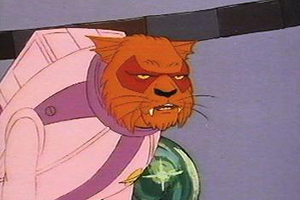 Manny Coto, who produced the final season of Star Trek: Enterprise, had made plans to include the Kzinti in an episode called “Kilkenny Cats”, but the series was cancelled before this could occur.